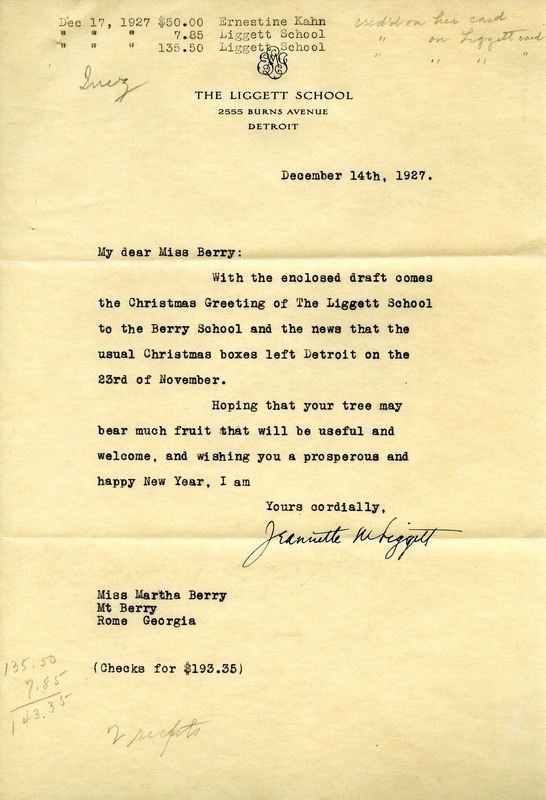 Jeanette M. Liggett, “Letter to Martha Berry from Jeanette M. Liggett.” Martha Berry Digital Archive. Eds. Schlitz, Stephanie A., Rachel Renaud, Chelsea Risley, Aaron Jackson, Emilee Sargent, Amanda Mays, et al. Mount Berry: Berry College, 2012. accessed April 25, 2019, https://mbda.berry.edu/items/show/4892.